For most of my life, Labor Day was the closing of the weekend that I watched the Jerry Lewis Labor Day Telethon and wanted to see how much money was raised. I had no clue as to what Labor Day really was about or how it got started so I decided to see what the United States Department of Labor had to say about it. This department is led by Secretary of Labor Hilda L. Solis. The department of labor says, “Labor Day, the first Monday in September, is a creation of the labor movement and is dedicated to the social and economic achievements of American workers. It constitutes a yearly national tribute to the contributions workers have made to the strength, prosperity, and well-being of our country. “The first Labor Day holiday was celebrated on Tuesday, September 5, 1882, in New York City, in accordance with the plans of the Central Labor Union. 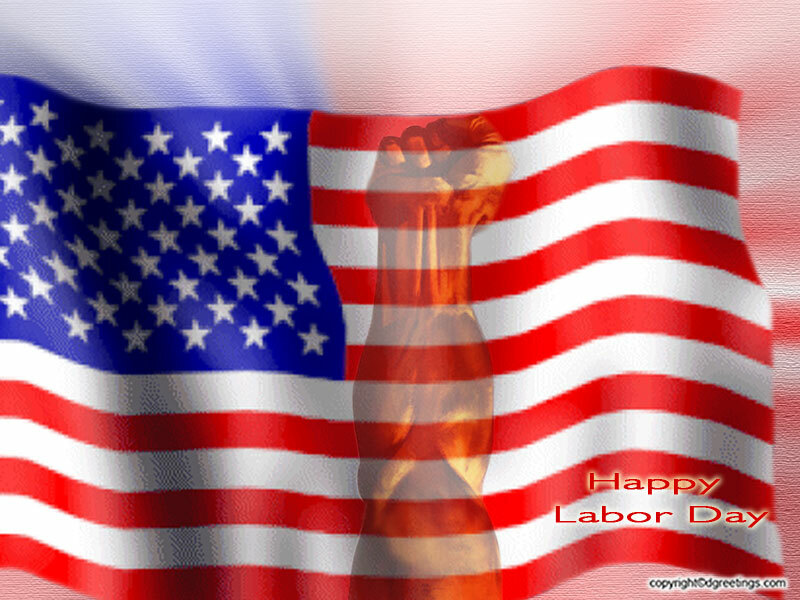 The Central Labor Union held its second Labor Day holiday just a year later, on September 5, 1883. This celebration is supposed to be honoring our country’s labor achievements. In the 40 years I have been aware of this holiday I never knew what it was for. I don’t recall us doing anything to celebrate working, except by taking the day off which seems like an oxymoron to me. This reminds me of the Martin Luther King holiday. I disagree with children having the day off from school. I would think Dr. King would want more learning on this day. What if in celebration of Dr. King’s commitment to excellence, why not have a marathon of learning. Or even have academic challenges where kids can earn bonds for scholarships. Or maybe it’s a day where the kids who excel in school assist those students who have trouble. Having no class for the King holiday proves we have no class. I think on this day we should have a rally and an incredibly large career fair for those who are unemployed. Maybe we should also have the working class donate professional clothing, resources and their time to spend giving advice to those who are not working. I don’t have the greatest ideas, but I just think we could be doing more with this day. Labor Day could be so much more than it is. Maybe the only telethon on this weekend should be a fundraiser to replace the money given out by each state for unemployment or aid for those not working. I love the scene in the movie Cinderella Man where the main character is shown giving money back to the welfare office because he didn’t want to have to take the aid anyway. What if this was happening all across the country as people got jobs, they thought to pay some part of the money they received back. This to me is what Labor Day should be about. Very well written Clyde. It is an oxymoron to take the day off in celebration of the working man’s achievements. I think that a large career fair is an excellent idea for Labor Day. Featuring new technological advances and fields of study would be an excellent way to showcase the advancements made by the working man. Demonstrations of technology attached to school representatives to guide the unemployed or those seeking better employment along the right paths. Add to that a couple of armed service recruiters and it’s a great idea. Sharing the knowledge and skills to succeed is crucial to recovering the luster of the D.
Thanks Dan! You know you are speaking my language man! Thanks!